So, you’ve got some minor damage and want to get an instant quote for repairing it? It might not be a surprise to you that the cost of a ChipsAway repair varies depending on the damage. It is not just the size that affects the price of a repair though. The specialist will also need to consider the location of the scratch or dent on the vehicle, and how deeply the damage has penetrated the vehicle bodywork, in order to assess how long the job will take and how best to approach it. Each piece of damage is unique, whether it’s a bumper scuff, paintwork scratch or minor dent, to estimate it accurately, we ideally need to see the damage first. This is why we undertake a thorough investigation of the vehicle, and offer a free, no-obligation estimate service. It may be possible for our specialists to give a ChipsAway repair estimate over the phone just by discussing the damage. Photographs, where possible, are also very helpful. However to get a true idea of the price we would ideally need to assess the damage in person. 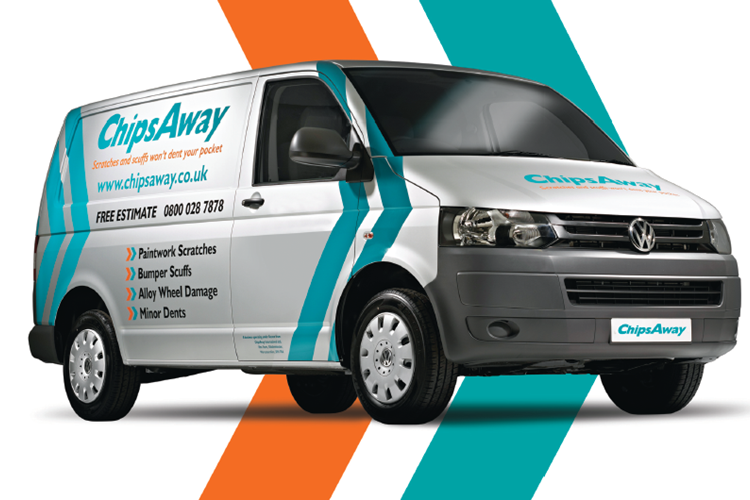 If you would like to find out more about ChipsAway’s prices and how much it will cost to get your car repaired by a ChipsAway specialist, simply enquire online today. One of our franchisees will be in touch within 24 hours to arrange a free, no obligation estimate. Don’t forget – every repair we do is backed by our lifetime guarantee! Truly excellent service. Steven Daniel sorted the bodywork on my Honda Jazz . He picked my car up at 8 o’clock and had it back to me before 3 in the afternoon. A body repair shop had quoted me £375 and they said it would be at least 3 days. Great price at £300 and so quick. Once again a special thanks to Steve for a very professional service. I’m absolutely delighted with the service Anne Martin and Alin have provided. From start to finish they were nothing but professional. My car was in a pretty bad state with multiple scratches and stone chips, I’d been quoted a minimum of £2000 + VAT elsewhere! Anne more than halved the price and the car looks fantastic, as good as new! Would thoroughly recommend. Terrence (A very nice guy) did a fabulous job respraying my car, all scratches removed and polished; looks spanking new!! Colour based on manufacturers specifications and lifetime guaranteed. I would recommend all my friends to him. Many thanks for the excellent work you carried out on my minor dent in car door and wing. I was quoted £2,500 to be repaired by a garage, and was charged a fraction of the cost by ChipsAway. Apart from a saving of nearly £2000, the work was carried in a morning by a very sociable man, who did an excellent job. Based on the results of the repair, I would highly recommend this company. The garage repair site gave a figure of £1,200, yet ChipsAway did it for 1/4 of the price, and the job was perfect! Excellent job completed on my Tesla. Had been quoted £3200 for it by Tesla approved body shop but had work completed by Mark Ward and team in Camberley for £516 inc VAT. A saving of over £2500! Excellent job – highly recommend. Great service. Do you have a bumper scuff or paintwork scratch you’d like fixed ASAP? Take a look at the services we offer below and enquire online today for your FREE no-obligation estimate!